Temecula, located on the southern side of California, is a favorite city for the great wineries and vineyards. The serene and beautiful ambiance of this city sets it apart from others in California. This city, despite maintaining its rural touch, offers its residents all the amenities and luxuries that are required to live a prosperous life. For the residents of Temecula, it is good news as they can now get their appliances repaired in a comfortable and stress-free manner. There is no need to rely on companies that offer subpar services as we, at Lerman Appliances, have got your back. We offer highly skilled and reliable services in Temecula for appliance repair. Our expert technicians specialize in repairing all types of appliances. Whether it is a significant appliance such as a refrigerator cooling system or a simple repair such as missing knobs, they have the skills and expertise to repair them professionally. They are professionally trained and have years of experience under their belt. This has enabled them to have a deep understanding of different types of appliances and learn advanced and effective ways to repair them. In addition to that, they are certified and licensed. We have equipped the technicians with state of the art equipment and tools to complete the repair job with pride. Furthermore, they have access to durable parts. 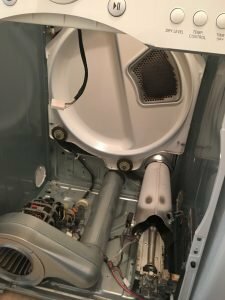 If any part of your appliance has worn out and needs to be replaced with a new one, there will be no last minute hassles. Our expert technicians will do the needful and enhance the lifespan of your appliance. 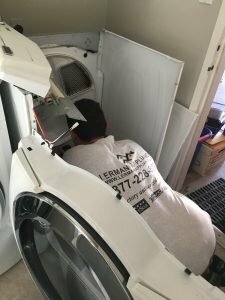 At Lerman Appliances, our aim is to be recognized as the most reliable company for the services of appliance repair, Temecula. Customer satisfaction is our top-most priority. Hence, we believe in walking an extra mile to provide the best experience to our clients. With our top-notch services, we offer complete value for money as our rates are fair. Thus, you can get your appliances repaired without spending a fortune. There are no hidden charges included. What’s even better is that appliance repair, Temecula services come with limited time warranty. In case after the repair process your appliance has stopped working or is showing signs of repair again, you can contact us within this time period and get it repaired again from our highly professional technicians without paying any extra charges. With our superior services of appliance repair, Temecula, we promise guaranteed satisfaction. We leave no stones unturned to provide our clients with exemplary experience. We excel in repairing all types of appliances from top brands in a professional manner. All you got to do is to give us a call, and we will schedule repair services for you. Our technicians will be there at your located on the decided time and repair your appliances. If you have any questions, require more information or want a professional estimate, feel free to contact us at 818-510-4851 or LermanAppliances@yahoo.com.